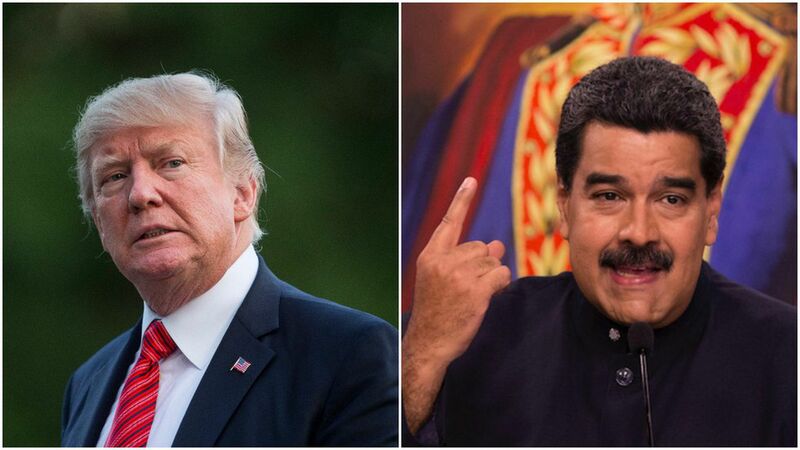 Trump is prohibiting Venezuela and its state oil company, PDVSA, from selling debt to Americans and U.S. financial institutions. This is likely to make it harder for the dictatorship to function as it's already strapped for cash — Maduro has nearly $100 billion of debts, per Financial Times. "This is not an oil embargo," a senior administration official clarified on a conference call with reporters Friday. To limit harm to American and Venezuelan people, financing for export and import of petroleum will be allowed, as will transactions involving only PDVSA's U.S. affiliate, Citgo, preexisting Venezuelan debts, and humanitarian goods. This comes after Maduro embraced what the White House is calling an "illegitimate" Constituent Assembly. The U.S. has previously sanctioned Venezuela three times. Intended effect: To make sure the U.S. isn't complicit in the dictatorship and to bring a restoration of democracy to Venezuela.